The fundamentals of the Canadian economy are starting to show signs off cooling down. Recent data on wages, inflation, commodity prices and housing costs appear to support a view that any increase in the bank rate is not needed. Lets look at some of the key components that determine current and future inflation. Figure 1 records the annual rate of consumer price increases. 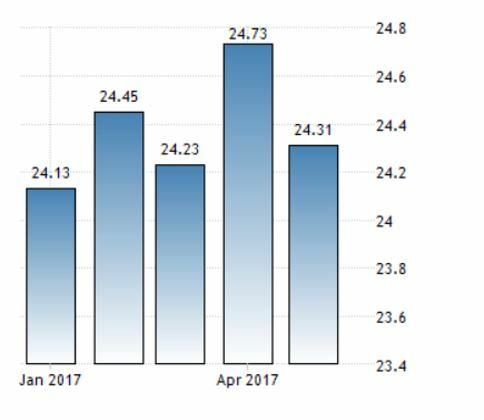 Since the beginning of the year, the CPI has been steadily declining, starting at 2.1 % in January and dropping down to a rate of 1.2% by July. Next, we look at producer prices which have experienced a more dramatic decline ( Figure 2). After an initial spike in producer prices in January, the declaration in price increases has been unmistakable. 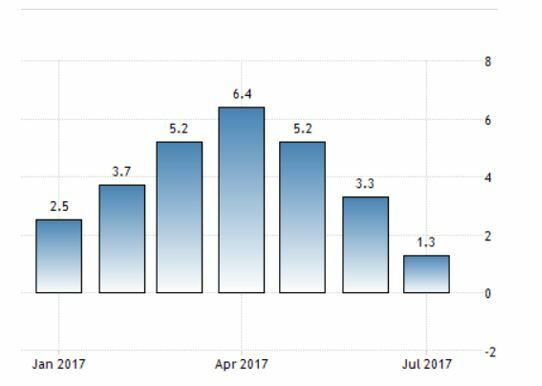 Today, Statistics Canada reported that producer prices fell by 1.5% in July from June, the largest decline in 2-1/2 years. While a lot this decline is related the rapid rate decline in the value of the U.S. dollar (commodities are priced in USD)many commodities markets continue to drift sideways at best. 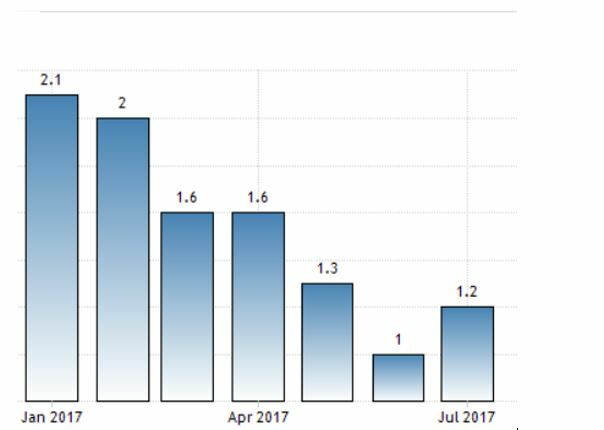 The statistical agency noted that even if the USD / CDN were to remain constant, the overall producer price index would have fallen by 0.4%.We should not look to the commodity markets as a source of any inflation in the near term. On the wage front, average hourly earnings have barely budged over the past six months ( Figure 3). Ontario has announced a major increase in the minimum wage over the next two years which many anticipate will impact the total wage bill in the low-wage service sector. This would be a one-time increase that should not be factored into an analysis in setting short-term interest rates. Asset prices are now undergoing a significant adjustment in Canada. Housing, once the most inflated class of all assets, has started to deflate rather quickly. Figure 4 demonstrates how quickly the market for single-family homes has turned south. Reports are flowing about housing deals falling through or being renegotiated as buyers’ remorse has set in. Prices increases are still in positive territory over the past 12 months, nonetheless there has been a clear point of inflection in the market and buyers and sellers are now looking at quite a different environment.